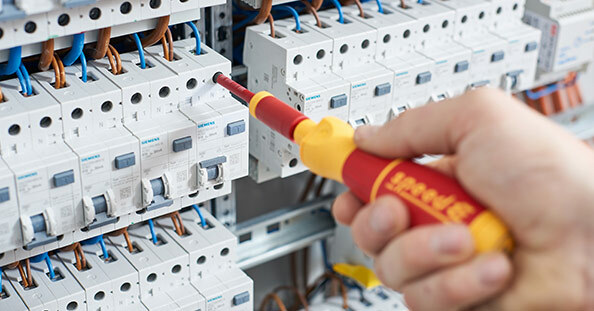 The speedE’s electric drive handles time-consuming screw-fastening at a rapid rate, yet allows users to finish tightening carefully by hand – exactly like a normal screwdriver. With the speedE, a constantly changing grip for manual fastening becomes a thing of the past, so users can complete work at least twice as fast. Users can complete all three of these steps in a single move, enabling them to work significantly faster and more efficiently, while also using a controlled, healthier technique. 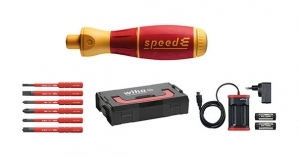 The speedE is VDE-tested to 1000V and is completely insulated for use and work on live parts, as well as being fully compatible with the Wiha range of insulated slimBits, which are tested at 10,000V AC and approved for 1000V AC. Ideal for electrician’s, the speedE is great for power socket installations, working in switch cabinets, and working over-head. The electric motor includes an automatic protection function to prevent threading and other damage to materials. The speedE tightens up to 0.4Nm before disengaging, ensuring that the material is protected. Additionally, an innovative ratchet function assists users as they complete fastening by hand up to 0.8Nm. Wiha’s e-screwdriver is comparable to a regular screwdriver in terms of size and weight, making it compact, lightweight, and designed for maximum user comfort. Doctors and therapists at the German Campaign for Healthier Backs recommend the speedE electric screwdriver, thanks to it’s exemplary ergonomic design. The speedE features a robust metal motor, a three-wheel clutch and vibration welded joints. It is fully interchangeable with all of Wiha’s slimBit blades, and is capable of turning 800 screws with one charge. Generally, this will provide users with a time frame of several days to work with the speedE without recharging the batteries. The e-screwdriver also uses standard rechargeable batteries inside the handle to eliminate follow-up costs. There has been a huge demand overseas for this product, and the speedE will be landing in Australia in August, available in two different sets. Set 1 includes the speedE electric screwdriver, an assortment of slimBits, a portable charger, two rechargeable batteries, and a sturdy L-BOXX to safely carry everything in. Set 2 includes the aforementioned items, plus an easyTorque adapter (2.8Nm) and two extra slimBits. 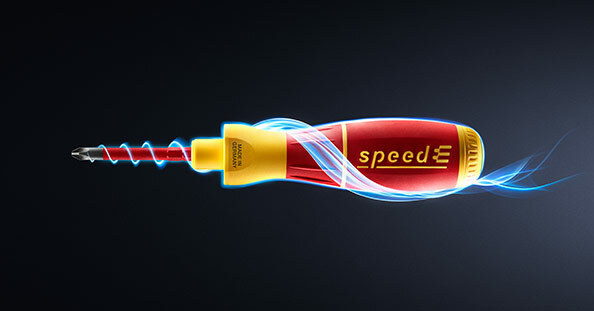 Both sets deliver the same results: with the speedE, you’ll maximise your performance and minimise your effort.